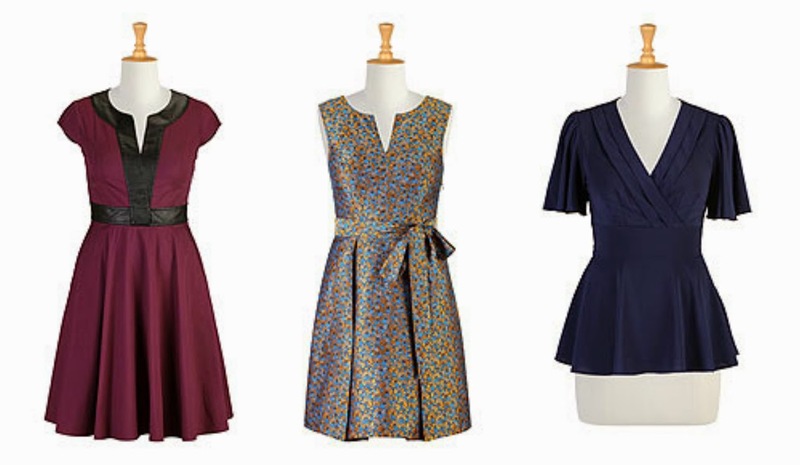 Don't you just love Eshakti. I love their unique customizable outfits. There is nothing like wearing an outfit that actually fits. Here's a holiday treat for you: win an item of your choice from their online store plus there are a few great offers going on right now. Check out their new arrivals and enter giveaway below. They're also offering a $30 Coupon when you register on the site (limited time offer). Here are three items I've selected to flatter any body type. You can't go wrong with these. I really like the Embellished Moto Ponte Dress as shown on the front page but it seems to be gone already. Also like the Alice and the Havana dresses. I'm loving the sash waist chambray dress. Thanks for the giveaway! I love the Heart collar wool blend coat! Very cute! 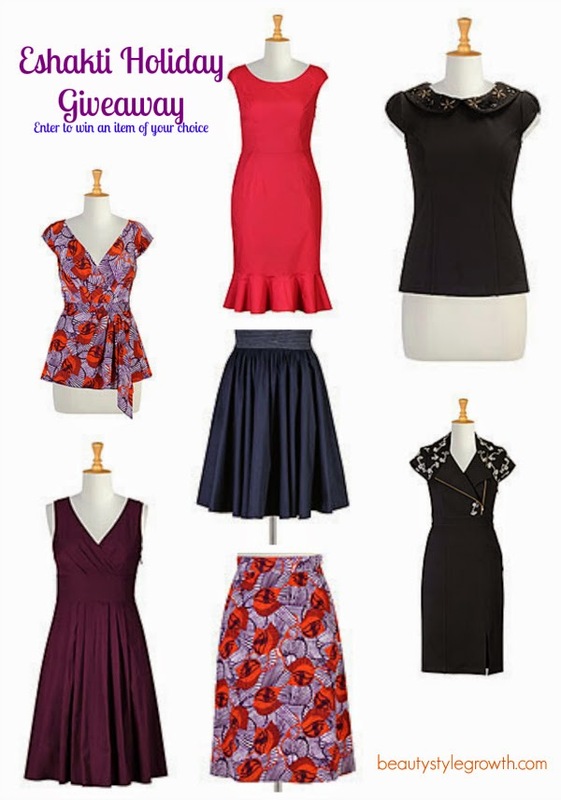 I agree that you can't go wrong in the fit n' flare style dresses you are showing! I like the V-neck red Maxi dress with the tapered back hem.